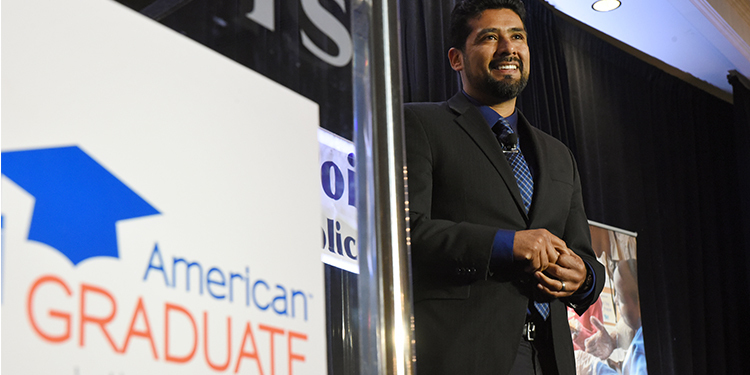 The American Graduate initiative is public media’s long-term commitment, made possible by the Corporation for Public Broadcasting (CPB) to help young people succeed in school, career and life. Public media, with its unique position as a trusted resource and important partner in local communities, provides a critical platform to shine a light on pathways to graduation and successful student outcomes. National and local reporting, on air and online is helping communities understand the challenges and community-driven solutions associated with education and future successes. Public forums, town halls and community conversations have activated discussions between community leaders, educators and other stakeholders. Through American Graduate, stations have inspired citizens to get involved and become American Graduate Champions, the caring adults who very often make the difference in a young person’s life. 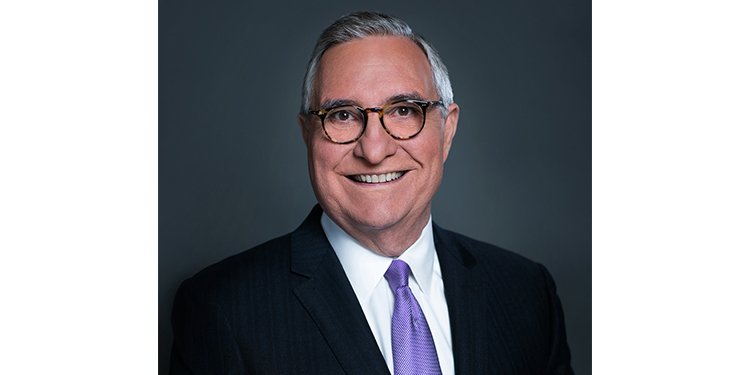 Nationally, public media has worked with General Colin and Alma Powell's America's Promise Alliance, Civic Enterprises, Johns Hopkins University’s Everyone Graduates Center, and The Alliance for Excellent Education, as part of the Building A Grad Nation project. The Building a Grad Nation 2018 report found that the high school graduation rate reached a record 84.1 percent in 2016. Each year since American Graduate was launched in 2011, the high school graduation rate has risen. American Graduate aligns public media assets on air, online and in the community to help young people succeed for themselves, our communities and for our country. Over 125 American Graduate public media stations work with more than 1,700 partners across the country among those doing their part in communities to improve student outcomes. A 2013 study conducted by the Everyone Graduates Center found that American Graduate has succeeded in building community capacity to address America’s high school dropout crisis,to raise awareness of the issue and to highlight proven solutions. For more information about the initiative and stations’ work on the ground, please visit facebook.com/americangraduate. Jack was a leader whose 22-year career in public broadcasting made a difference in so many lives in the communities he personally touched, and across our entire nation. 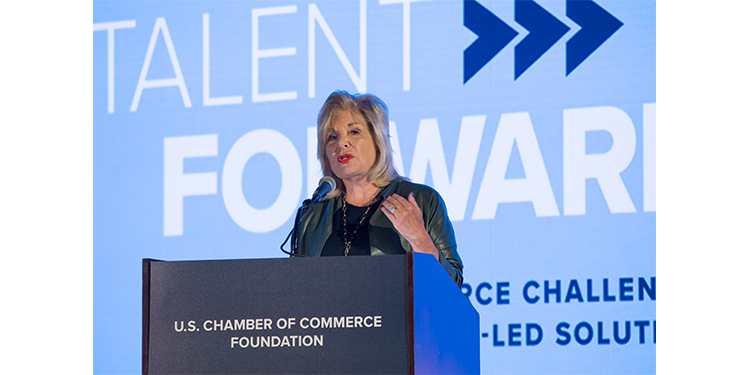 More than 300 business and local chamber leaders, policymakers, workforce development and education partners, nonprofit and media representatives attended the event in Washington, D.C. The CPB-supported documentary was named best documentary at the IMAGEN Awards.